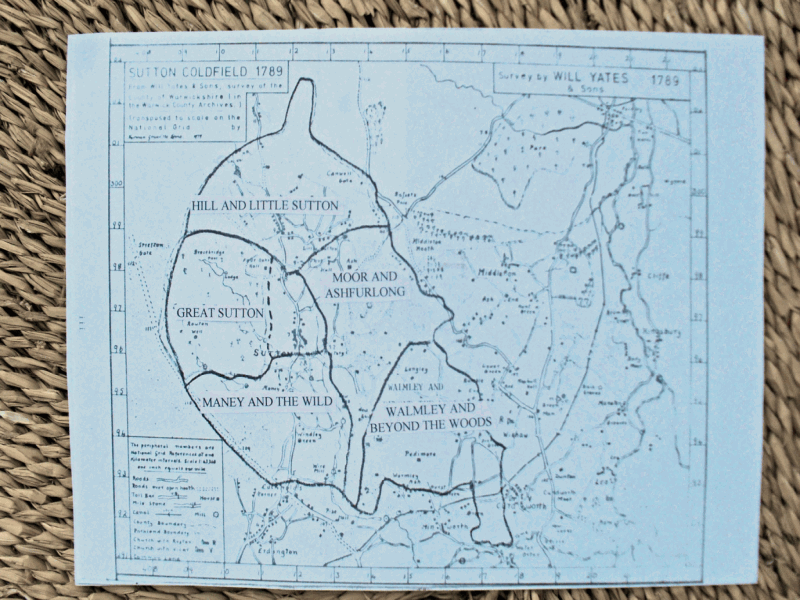 Before the Norman Conquest the Manor of Sutton Coldfield belonged to Edwin Earl of Mercia. As Lord of the Manor, Edwin or his steward presided at the twice-yearly court, a court which continued to be held after 1066, when William the Conqueror was lord of the manor, and after 1126, when the lordship of the Manor of Sutton Coldfield passed to the Earl of Warwick. The proceedings of the court were recorded in the court rolls, but not many of these records have survived, the earliest one for Sutton (held at Nottingham University Library) is for the court held on 20th May 1416. This court was conducted by a steward; the Earl was with Henry V in France. There were twelve jurymen, and the court received reports from the court officers. First came the two tithingmen or Headboroughs for Great Sutton Quarter, then the two aletasters reported, followed in turn by the headboroughs and tasters for the other four Quarters - Sutton Parva; More and Asshforlonge; Wygynghull & Warmeley; and Maney & Wyndeley. Most of the reports were routine, but John Grendon and William Staleworth had some trouble to report in Great Sutton with several fights or affrays “blood was shed between Richard Bryden and William Baxter to the injury of William so they are fined; Richard Muleward attacked William Baker and the said Richard wounded the said William; and blood was shed between John Kylyngworth and William Hardynge.” The other quarters were more peaceful, except that Thomas Otheho was in an affray at Maney. 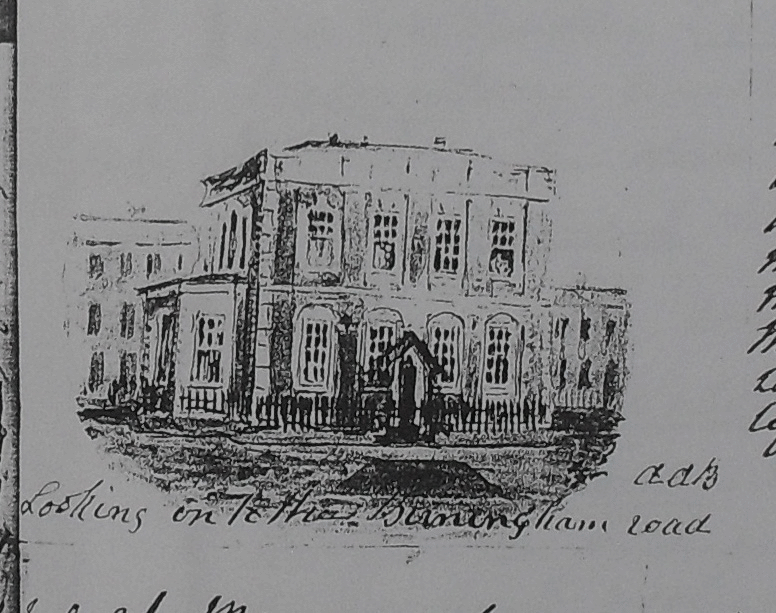 The court roll does not mention the building in which the court was held, but it may have been St. Mary’s Hall on Trinity Hill (later the Schoolmaster’s House, demolished c. 1830). The Charter creating the Royal Town of Sutton in 1528 contained a clause saying that a hall should be built “for all courts leet to be held in that place”. This was the Moot Hall, built at Bishop Vesey’s expense, in the market place at the top of Mill Street. Here the twice-yearly courts continued to be held, presided over by the High Steward or his deputy, in the presence of the Warden. There is a full set of court rolls for the Elizabethan period, recording very similar business to the 1416 court. A jury was appointed to give a verdict, and the officials for the five quarters, elected at the court each year, reported - the tithingmen for Great Sutton now honoured with the title of Sergeants at Mace. There were plenty of affrays; in 1552 Bartholmew Neyll was fined 3s.4d for hitting Humphrey Gosling with a club and Nicholas Burton hit Hugh Massey with a club - the clubs, valued at 2d. and 4d., were confiscated. The following year nine affrays were reported, the most serious being John Jackson who was fined 20d for attacking the servants of John Masterson with a dagger worth 6d, and the sergeants at Mace were ordered to seize the weapon or its value. The 1561 court heard about an assault on John Hall by William Chipman - Chipman was fined 20d and forfeited the sword, worth two shillings, which he had used. Thumbnail sketch by Miss Bracken of the old Moot Hall.